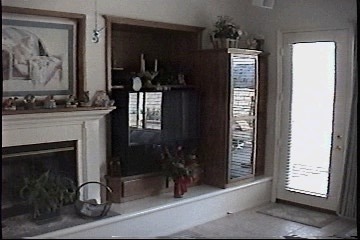 The Entertainment Center setting on top of the continuous Hearth. 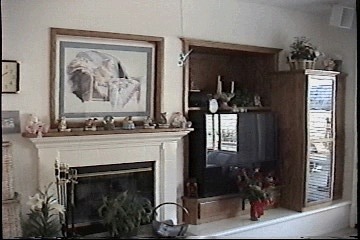 A better shot of the Mantle. 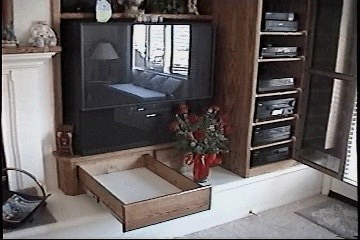 Components and storage under the TV.